The BSF troops noticed suspicious movement near the Indo-Pak border after which they launched a search operation. 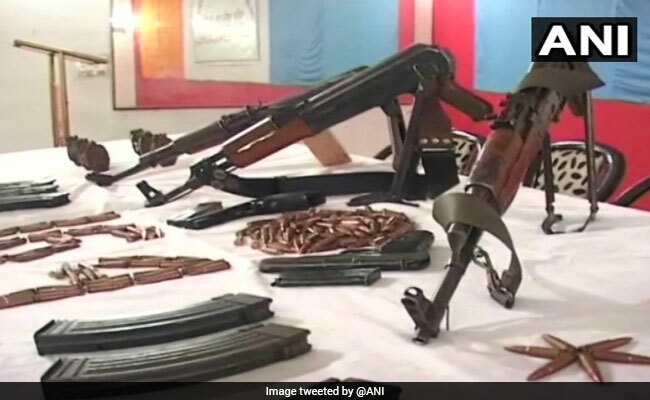 Chandigarh: The Border Security Force Tuesday recovered a huge cache of arms and ammunition including three AK-47 rifles, two pistols, six hand grenades and 250 rounds near the Indo-Pak border at the Kassowal border outpost in Gurdaspur Sector. The arms and ammunition were kept in a white bag found buried under the soil, an official said. BSF troops found the bag with the help of a sniffer dog, he added. "We have recovered three AK-47 rifles along with six magazines, 150 rounds, two pistols along with two magazines, 100 rounds and six hand grenades at the border outpost Kassowal in Gurdaspur Sector," BSF DIG Rajesh Sharma said. "During the search operation, a white bag, containing arms and ammunition which was buried under the soil was found," he said. The weapons will be handed over to the local police, he added.